Now that you're connected, you'll need to specify which accounts Fergus will sync with. Your new invoices will automatically sync across, and you can import your customers from Xero by following this article. For an explanation on how sync works, see this article. If you'd like to use the financial reporting offered in Fergus, follow these steps to get everything setup. To use the Business Activity Report, select your wages account. 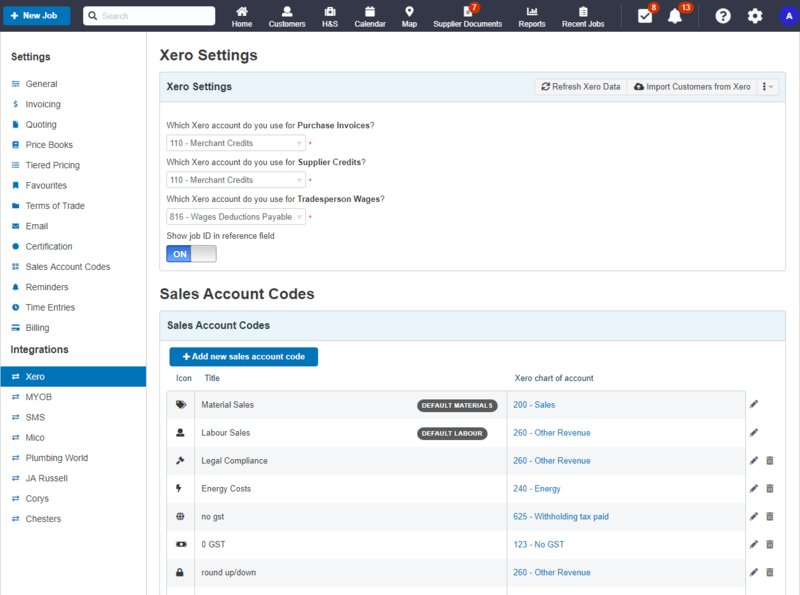 To use the Business Overview, you will need to tell Fergus which Xero accounts to look at. If you can't see some of your accounts, try clicking Refresh Xero Data to re-sync with your account. Some accounts won't display as they are system accounts and cannot be synced to. See this article for more information. 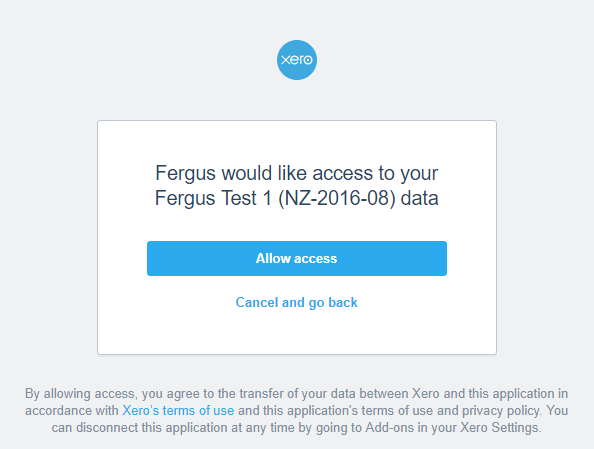 Xero Cashbook edition does not support Add-ons, so you won't be able to link your Fergus account. 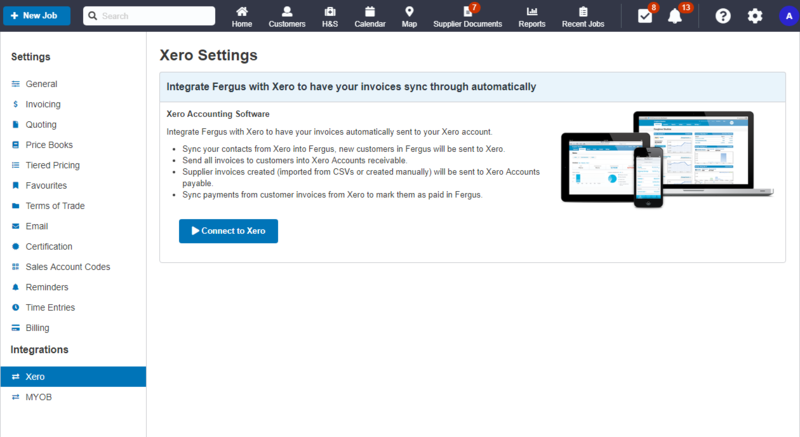 If your account isn't syncing you might have been disconnected from Xero. 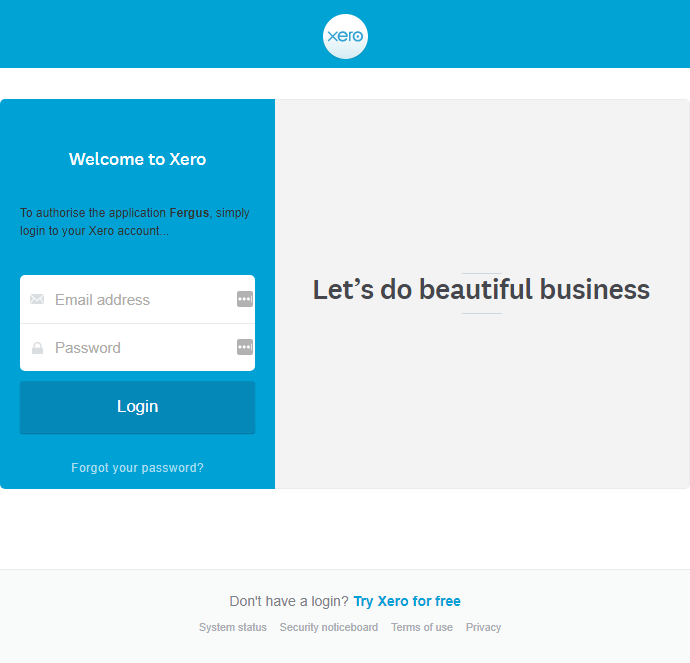 This can happen if your Xero password or settings have changed. To get syncing again, reconnect your account in ⋮ options > Disconnect Xero.